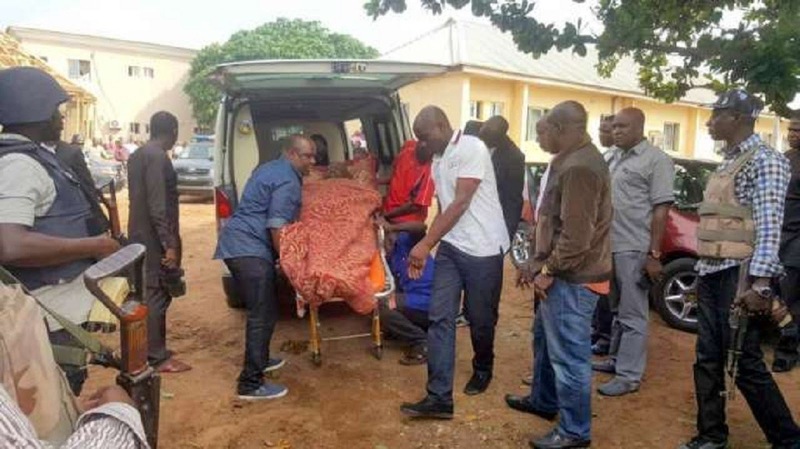 A Senior Advocate of Nigeria, SAN, Mike Ozekhome, on Monday revealed why Kogi West Senator, Dino Melaye jumped off a police van in Abuja. Ozekhome, who is Melaye’s counsel, said his client jumped off the police van to avoid death. The senior lawyer said this at a Kogi High court in Lokoja, the state capital. He dismissed police claim that his client was trying to escape. In his submission before the court, Ozekhome said, ”The truth of the matter is that initially, the police told Melaye that they would take him to a high court in Abuja for prosecution but the police suddenly decided to head to Lokoja and Melaye said while they were in the vehicle, the police tear-gassed him twice. “Melaye protested against why they were taking him to Lokoja instead of Abuja. So, as soon as the vehicle carrying Melaye came to a standstill at Area One intersection roundabout, Melaye forced the door of the vehicle open and jumped down because he was gasping for breath and he did not want to suffocate and die. Recall that the Chief Justice of Kogi State High Court, Nasiru Ajanah had on Monday adjourned hearing on the bail application of Senator Dino Melaye.